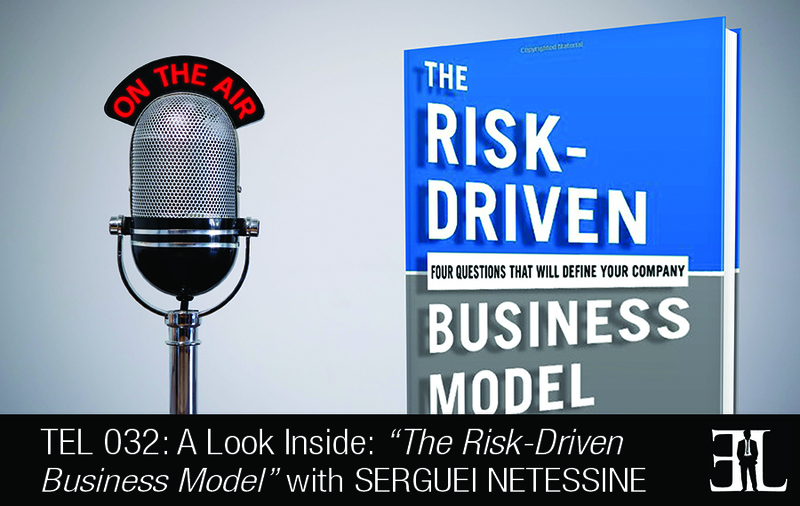 In this episode Serguei Netessine shares his book The Risk-Driven Business Model with four questions that will define your company. This book is perfect for the entrepreneur or small business owner who is seeking advice and innovation on creating a new business model. The goal Netessine sets with The Risk-Driven Business Model is create a road-map for rather than simply describing business models that already exist. Our book is on the topic of business model innovation which is a less traditional topic of innovation. Our book is different because we were aiming to create a roadmap for someone to create new business models rather than simply describing new business models that are already out there. I hope that the book is interesting enough that once you start reading it, you won’t want to stop. We believe that one of Steve Jobs’ greatest innovations was not necessarily an iPhone or iPad, it was actually a singular business model of the iTunes store. And the reason is that the business model of iTunes store actually makes all of the other innovations of Apple work. In the introduction of the book we talk about the fact that business model innovation is often an overlooked way to innovate. A lot of value can be created through business model innovation and it’s really a very attractive way to innovate. In the second chapter we explain our approach to business model innovation and it’s very different from inventing new products and technologies. Typically new product and technologies start with identifying some kind of a market meet. Business model innovation is different in that there is already a need and a product which address that need. What you need to do is find inefficiencies in the existing market. And we talk about how the business model can go about identifying those inefficiencies and fixing them. The rest of the book outlines our four different approaches, what we call our four W’s which can be used to invent new business models. The first W is our WHAT innovation. WHAT innovation is essentially an innovation about changing the kind of decisions that the company makes within its business model. The next W we talk about the WHEN innovation. The WHEN innovations are all about changing the timing of your decisions and you can do this by moving you decisions around relative to when you obtain information to make those decisions. After that we talk about the WHO innovation which changes who makes decisions in a business model. In the next chapter we talk about the WHY innovation where in the business model you can change why people make the decision. So these are a key four chapters which talk about four different approaches to business model innovation. After this we go into an action chapter that discusses how TerraPass went about innovating its business model. This chapter describes how ideas for TerraPass were generated, how they were selected and how the company was developed. It’s an illustrated chapter talking about the details of the innovation process. We conclude with The Call for Action which we say that the time has come to really change the discipline of business model innovation to make it into a systematic process that is governed by certain rules. We have a lot of examples of established companies changing their business models. We try to demonstrative in the book that the discipline of business model innovation has a very wide applicability and very often business model innovation works well in situations when other types of innovations don’t work very well. I was born in Russia where I did most of my studies and moved to the United States to earn my PHD in Business. My first job was at The Wharton School of the University of Pennsylvania where I worked for about ten years. Now I work with companies and startups on multiple continents. While reading multiple books I noticed they focused on the wrong side of innovation so I decided to write a book unlike any others.